Home » News archive » HORSEBURNER:…Tour Begins. 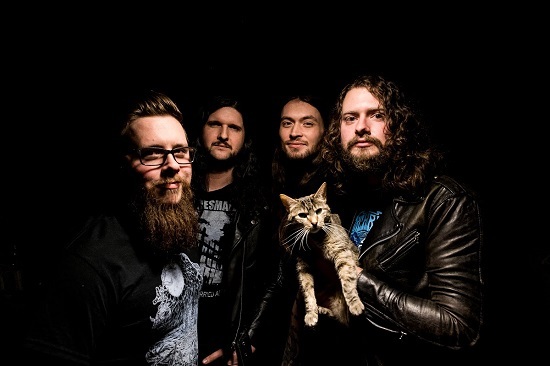 HORSEBURNER: Signs with Ripple; US Tour Begins. "It's not that often that a band comes by and just blows my mind, but Horseburner is one of them. They're taking the raw soul of stoner and taking it in fresh, exciting new directions. The sky is the limit for where these guys will soar." On top of all that, we’ve got one of our best pals, Nick Burks from Louisville’s Stonecutters, filling in on guitar for the April tour and some of the May dates, it’s going to be killer. Then with Zach’s exit from the band, and him doing a handful of farewell shows before he leaves for good… having Zach’s last show with us in Columbus, Ohio in May - ten years from our first ever show, which was also in Columbus - bittersweet is definitely one way to put it."